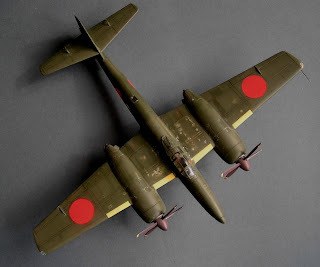 From the same source as yesterday's CAF images, courtesy of Mark Haselden, is this 50th Sentai Ki-43 rear fuselage section. 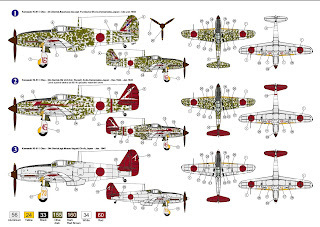 Of note is the quite bright and fairly light hue of the green camouflage paint (quite possible the result of environmental degradation), the painted interior which appears to be a dusty matt dark grey (also encountered in other types such as the Ki-46) and a patch of what appears to be red primer on the fin, possibly a repair. It is difficult to determine whether the camouflage is a badly worn mottle or a very badly worn solid finish. 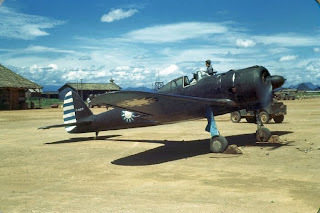 Will Alcott used an airbrush and hairspray technique adapted from armour modelling to very successfully replicate the worn finish on a Ki-43-III Ko in post-war French service, as described on his excellent Air War over French Indochina website. 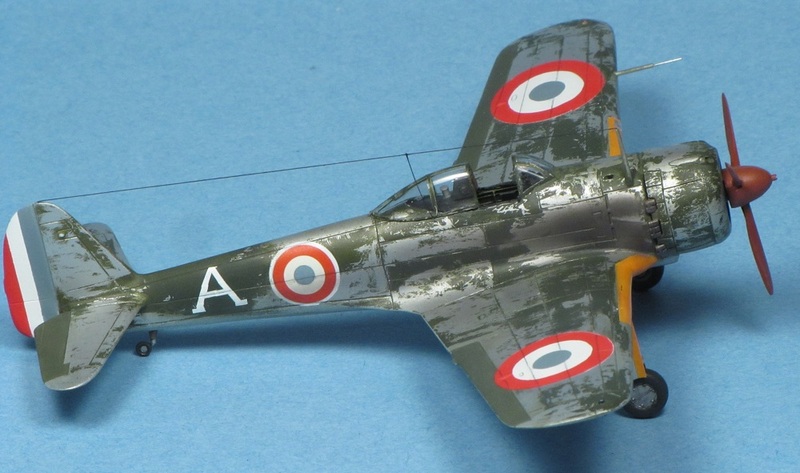 Remarkably this beautifully convincing model is the AML 1/72nd scale example and not to a larger scale. Details like the solid finish on the fabric covered control surfaces really add to the effectiveness of this presentation too. Will has examples of other 1/72nd Japanese aircraft in French service models at his site which is well worth bookmarking and exploring. 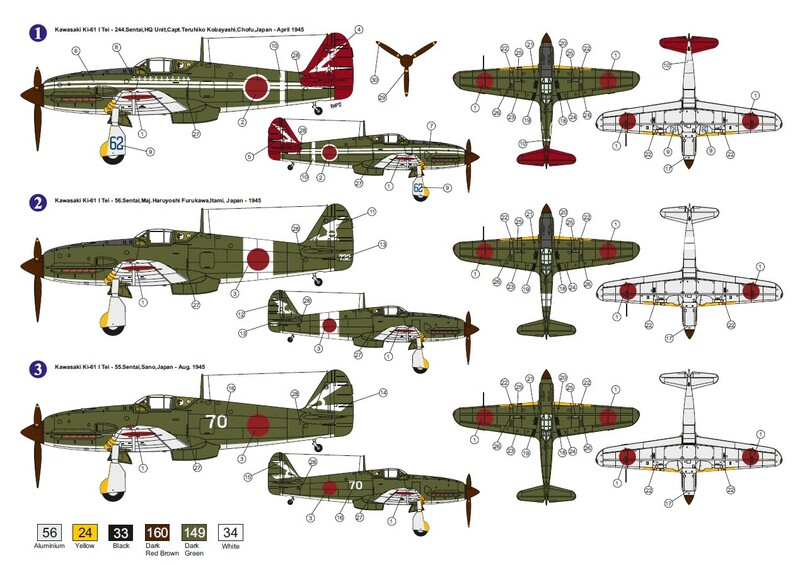 CAF I-153 and Ki-43-I in Colour! From the Jack Canary Special Collection at the San Diego Air and Space Museum via the kindness of Mark Haselden come these rare colour photographs of aircraft in Chinese Air Force service, including two of the captured Ki-43-I P-5017 which was featured as a special release of the Fujimi 1/72nd scale kit. I'm reluctant to comment on the colours seen in these images. 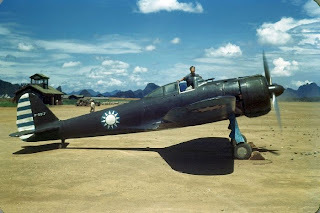 Sometimes colour photos pose as many questions as they answer... but that I-153 in the third image does appear to be painted in a colour very similar to fresh olive drab so I'm wiping a little 芙蓉蛋 (fu jung daan) from my face and (maybe) believing it after all! 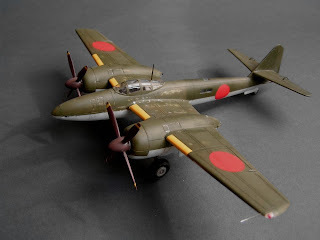 Continuing a season of IJAAF twins it is both a privilege and delight to be able to present here images of the MPM 1/72nd scale Mitsubishi Ki-83 built by Calin Ungureanu together with his own account of the project. 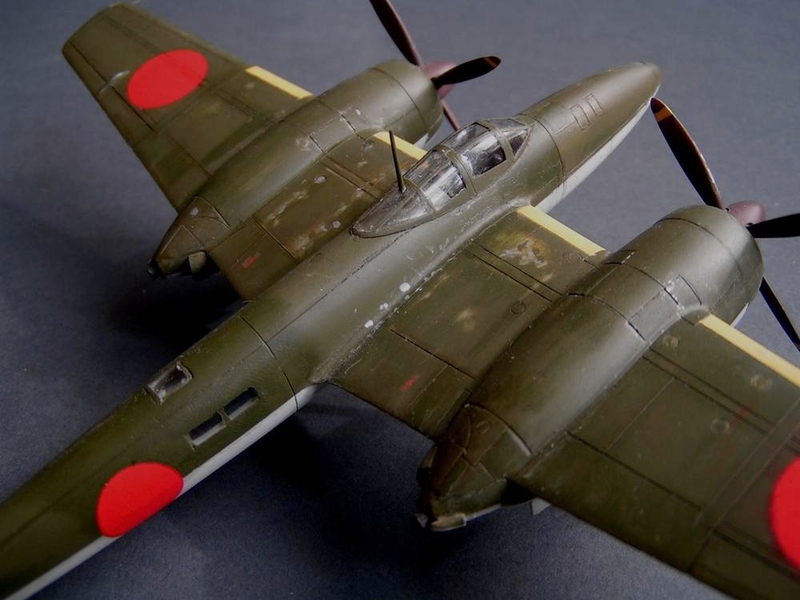 Calin has a blog with images of other superb models he has made, including a Mitsubishi J2M Raiden and also a photo archive of aircraft models. 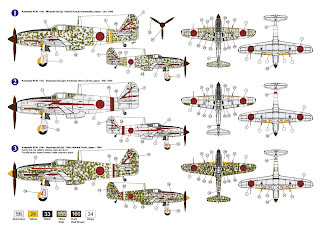 As an aircraft type I hope to examine the Ki-83 in greater detail in due course. 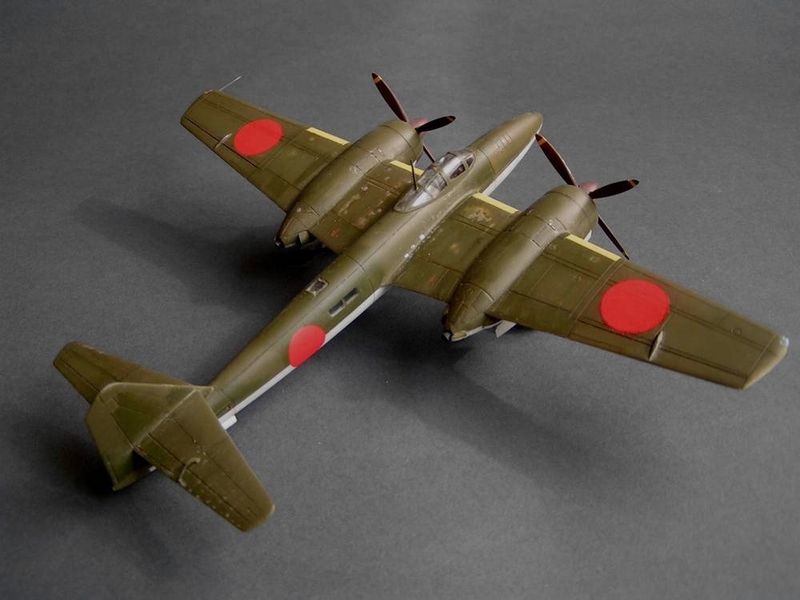 "When I started my Japanese plane collection I never dreamed that it would include this type. But thanks to MPM who aceepted the "risk” of producing this kit in 1/72 scale and to a friend of mine who gave it to me as a Christmass present, I found myself in a position of looking for documentation. There were only four preproduction airframes built for the Imperial Japanese Army who had started testing two of them when on 15 August 1945 Japan surrendered to the Allies. 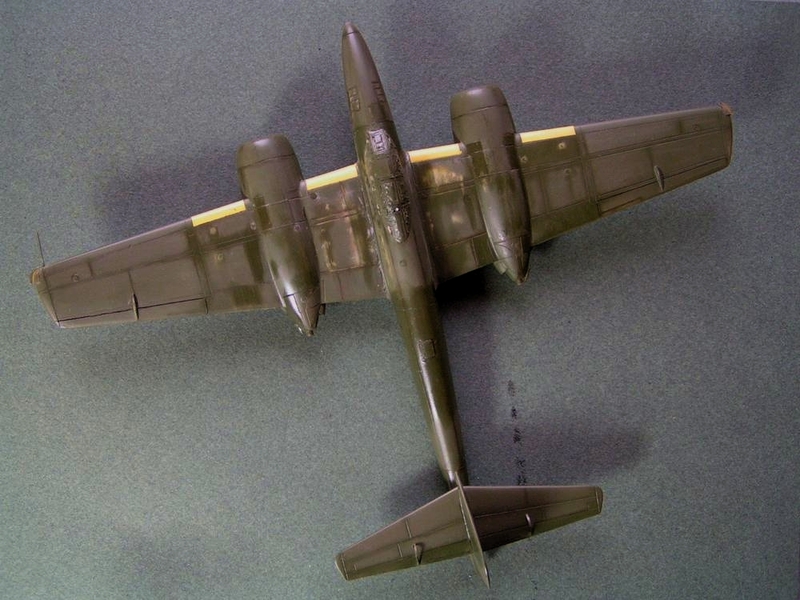 The USAF officials and aeronautical engineers proceeded to test them after the war and were impressed both by the speed of the aircraft and it’s fire power capacity - 4 cannons located in the nose (2 x 20mm and 2 x 30mm)." The kit is short run and I belive it’s now out of production. * This meant a lot of work was necesary to make it look acceptable. The cockpit interior is provided with just a few parts, with scarce details. 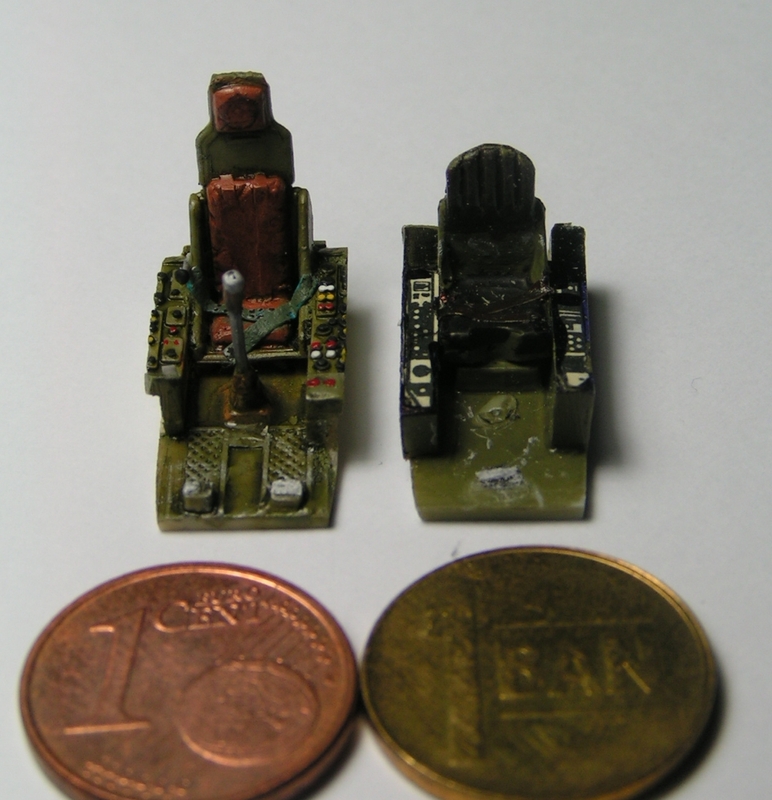 Assembly indications for the cockpit lateral consoles are wrong. 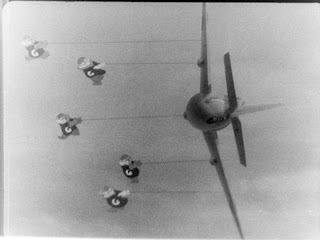 They must be assembled with each console re-positioned on the other side of the cockpit to that shown. The console with the oblique forward panel must be located on the right side of the pilot's seat. 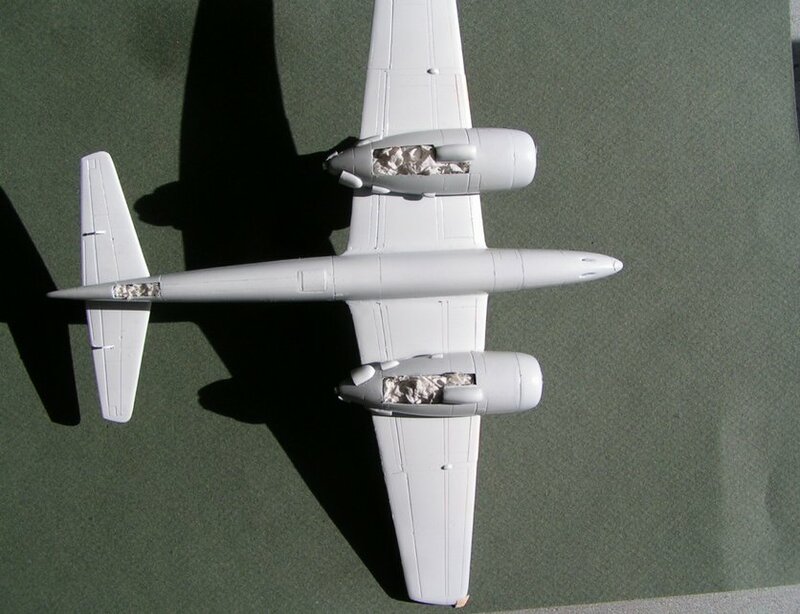 The observer's position in the centre fuselage is even more sparse, but due to the small windows in this area there is not much to be seen after closing the fuselage. 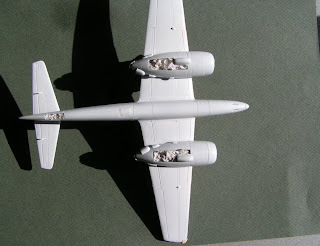 MPM provides clear plastic parts for the dorsal and side windows, but they are barely transparent and had to be dry-fitted and adjusted several times. 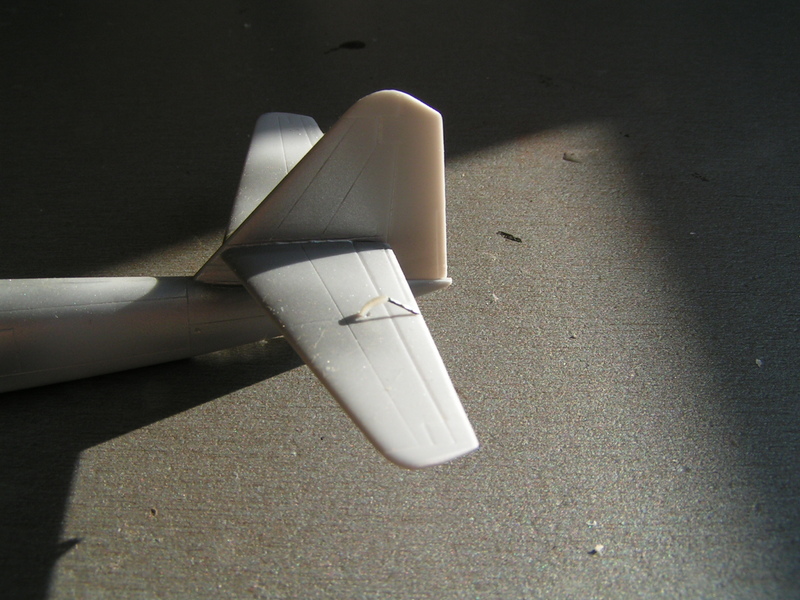 With all that I ended up cracking one fuselage half by forcing one of the windows. For the dorsal and ventral windows I used the kit parts after polishing and soaking them in Future (Klear). For the smaller lateral windows I opted to use cristal clear. Careful attention is needed as the plastic is thick in that area and if you put a big quantity of liquid glass, it will become foggy. Applying small succesive drops is advisable, respecting their curing times. An adhesive band on the exterior and pouring the glass from the inside will help. 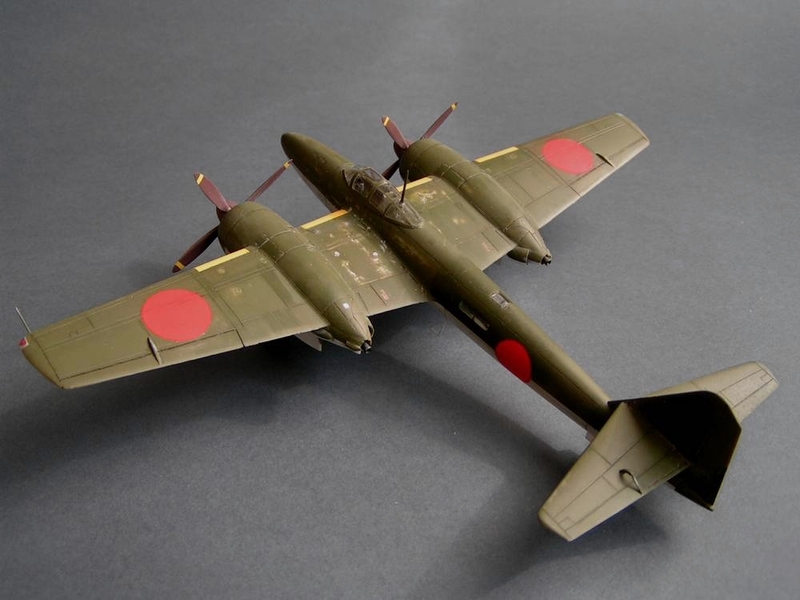 After constructing the kit supplied cockpit I wasn’t happy at all so I decided to replace it and scratch built the interior following pictures in Famous Aircraft of the World, first series, no.76: Japanese Army Experimental Fighters (1) (Bunrin-Do Co. Ltd., Tokyo, Japan, August 1976). 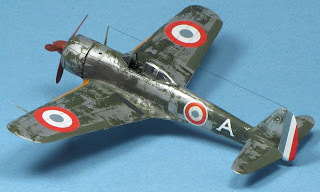 This involved making a resin copy of an Italeri F4F Corsair cockpit, which was narrowed by removing a longitudinal median segment. 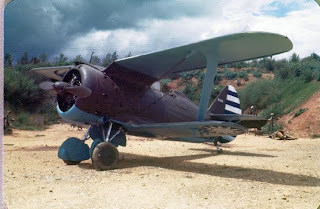 The pilot's seat was made from an Italeri Ju 87 seat suitably modified. Seat belts were made from Tamiya tape and a control stick from a plastic rod. 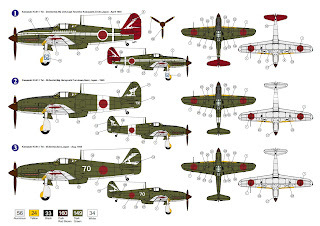 I couldn’t find a photoetch set for this kit on the market so for the control panel I used a computer rendered image printed on a piece of paper, then cut out and glued in place on the plastic piece provided in the box. 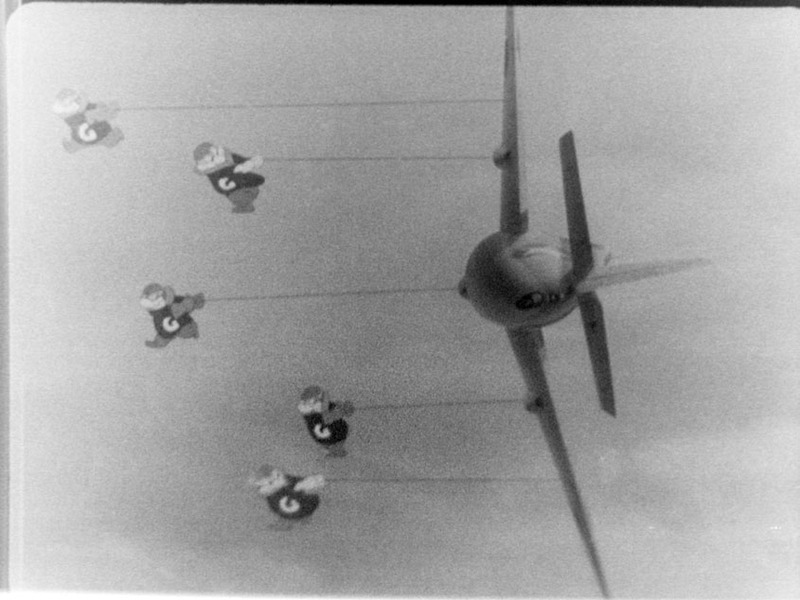 The same image was then printed on cardboard, and all the instruments removed with a punch and die set. This cardboard was then glued onto the first with white glue. In the holes I applied gloss varnish to represent the glass. 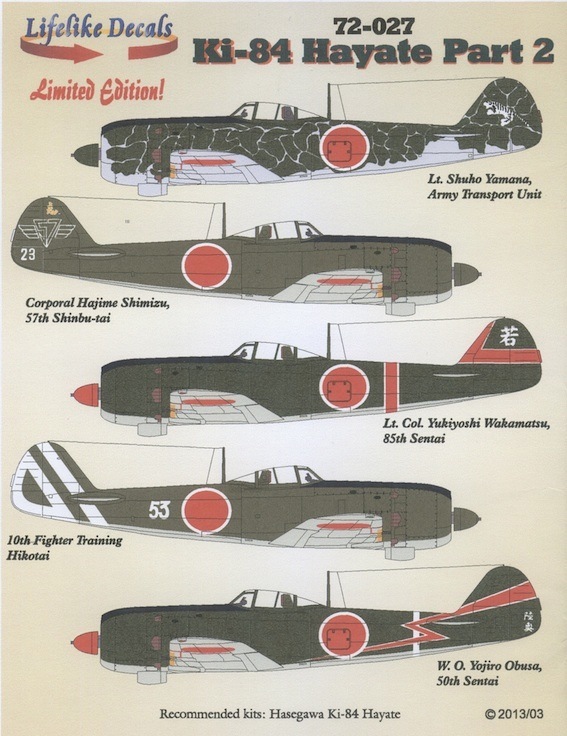 The interior was painted in Mitsubishi Interior Green with consoles and other details enhanced by a wash of brown and black ink diluted in Future. This was followed by gentle drybrushing with an ochre-green oil color. 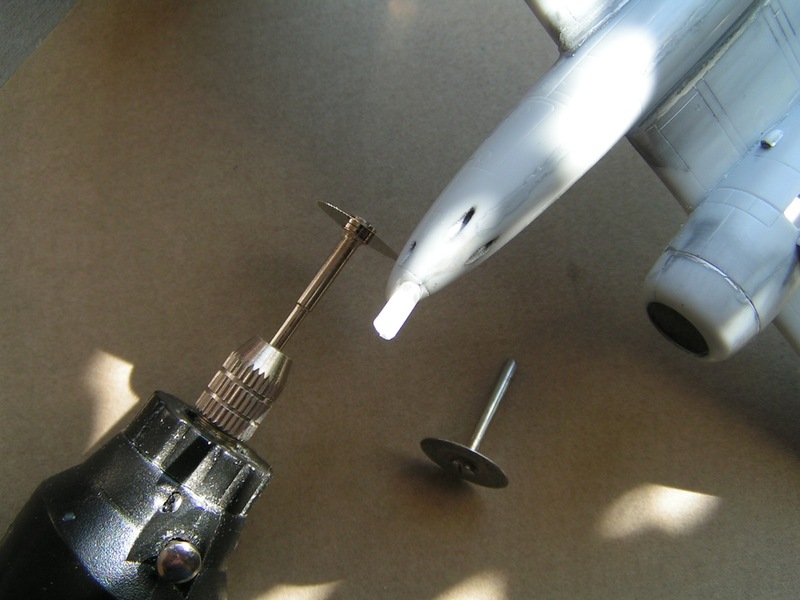 For the nose light I rounded the given opening and fasten a transparent bar that I then sanded close to the fuselage form and then I polished it with progressively finer wet sandpaper and in the end a fine nail polisher. The canopy was immersed in future floor polish and masked, then secured in place with PVA glue. The trailing edge of the wings was too thick so I scraped the interior with a scalpel blade and dry-fitted several times to conform. For the position lights I removed the kit’s plastic and glued transparent pieces that were sanded flush to the wing. Light bulbs were made by drilling holes on the inner side and filling with corresponding metalized colors (blue and red). 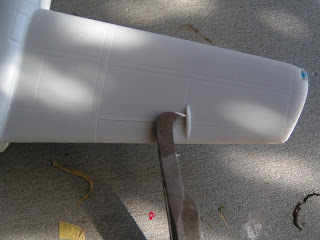 Due to the fact that no tabs were provided for the wings to fuselage joints I used some plastic rod to make some kind of struts. 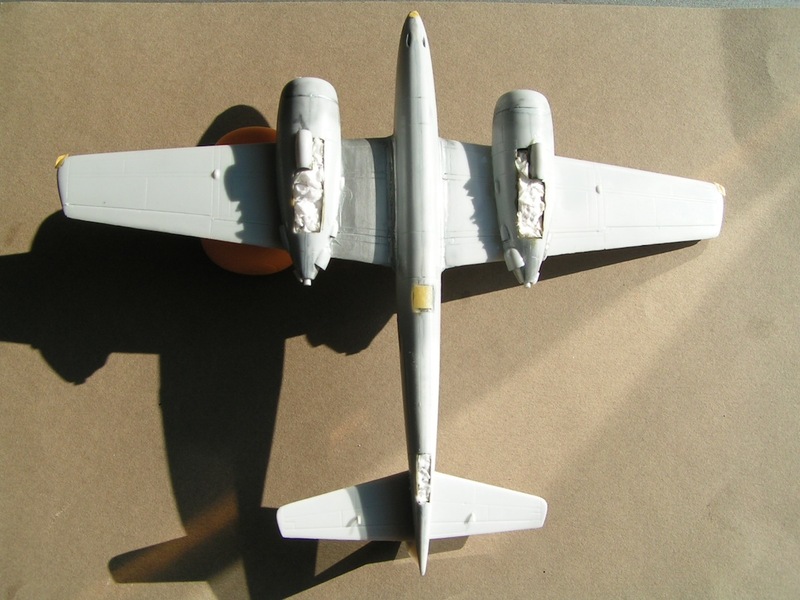 The landing gear doors were enhanced with an internal panel made from sheet styrene and drilled according to documentation. 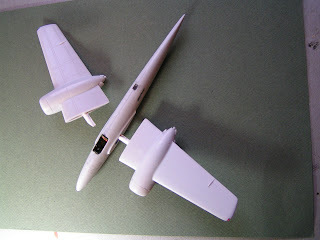 Landing gear struts received brake cables. 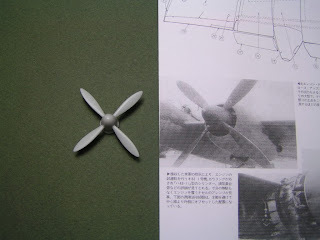 The interior of the landing gear bays were painted with Mitsubishi Interior Green and then masked with wet tisue paper. Comparing to pictures I noticed that propellers blades were too broad so I sanded them to correspond in shape. 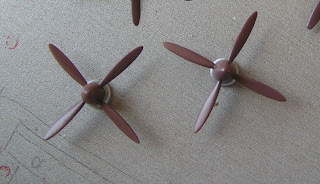 I painted the propellers with my equivalent for the japanese propeller brown (I’m not so sure if this one is ok). I found no mark on the fuselage to align the fin and rudder (a separate part) so it was by measurement work. 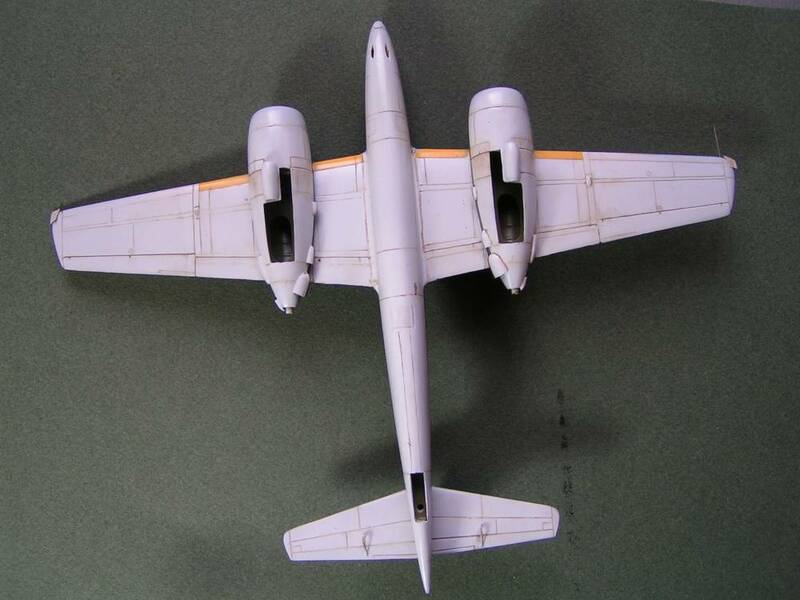 Tailplanes were then aligned to the fin and elevator actuators made from scratch. 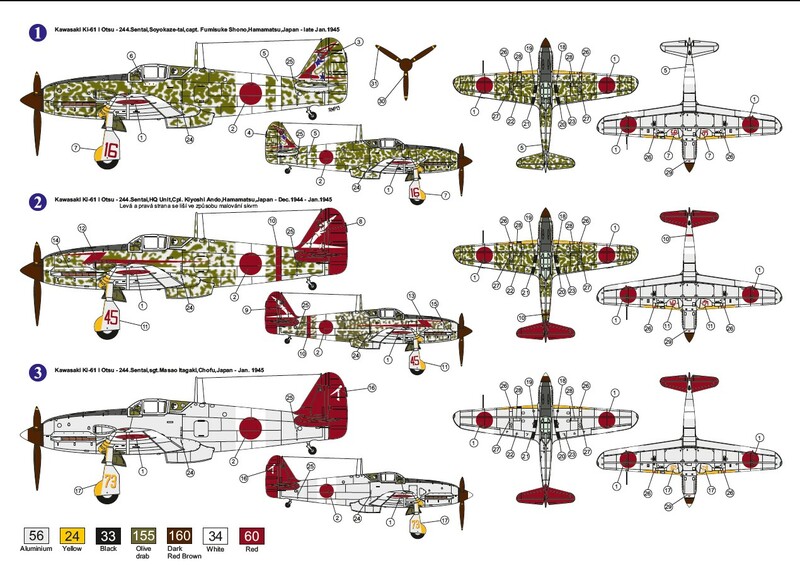 For me the most important part of building a kit is the painting. 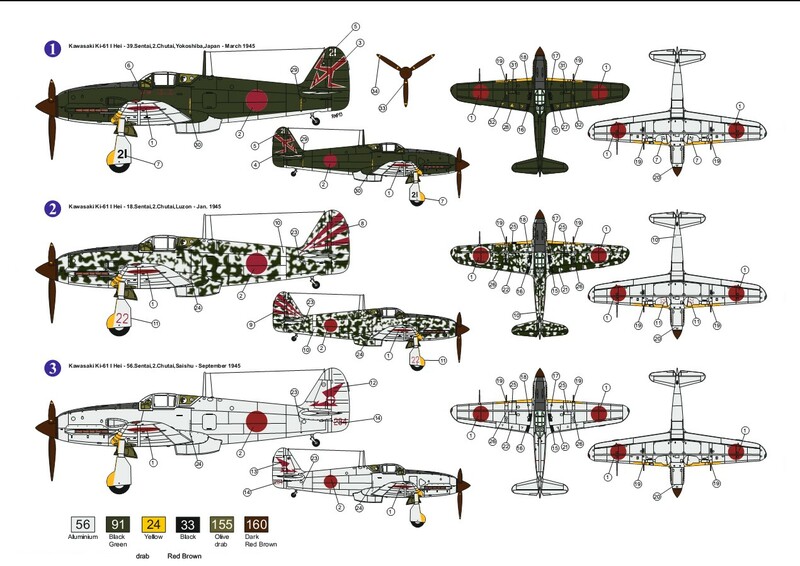 You will be familiar with the quest for the true IJA-IJN colours. After much reading and balancing of opinion and evidence, benefiting (I think) from my profession (a restorer of paintings) I arrived at some conclusions and manufactured a set of my own paints. 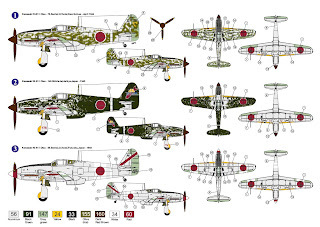 For these I used visual and written information from this blog, the White Ensign Models range, Arawasi site and magazines, The Samurai’s Wings (Army) – A modellers guide to the colour schemes and markings of IJAAF by Peter J Fearis (Visual Media Services, Titchfield, 1999) Jim Lansdale's research on J-aircraft and other sources. The raw paint material used were automotive solvent based acrylic colours from the RAL range, which I combined to obtain colours as close as I could to the originals. 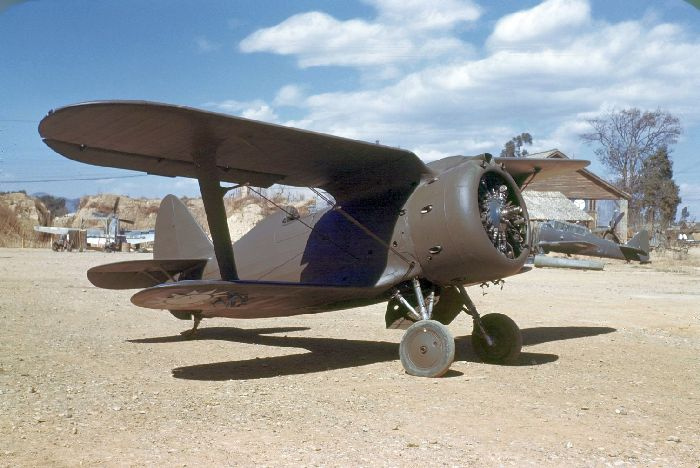 I have to say that it was a customized range which contained names such as “Magirus stone gray” and “Bedford service red” followed by a code. 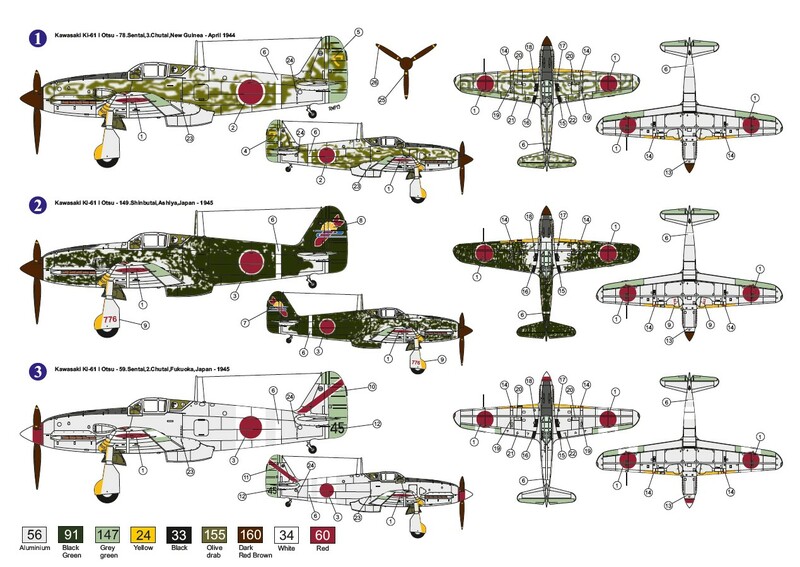 I did this for economic reasons and also because I wanted to have a consistency in my japanese airplanes collection. On the other hand the quality of materials is the best. The finish is semigloss, it can be masked with anything and the drying time is a matter of seconds. Now this range of paints is no longer imported into my country but I have secured a sufficient amount for myself, to complete all I have to do. First of all most of the airframe was sprayed with aluminium in preparation for the later chipping. 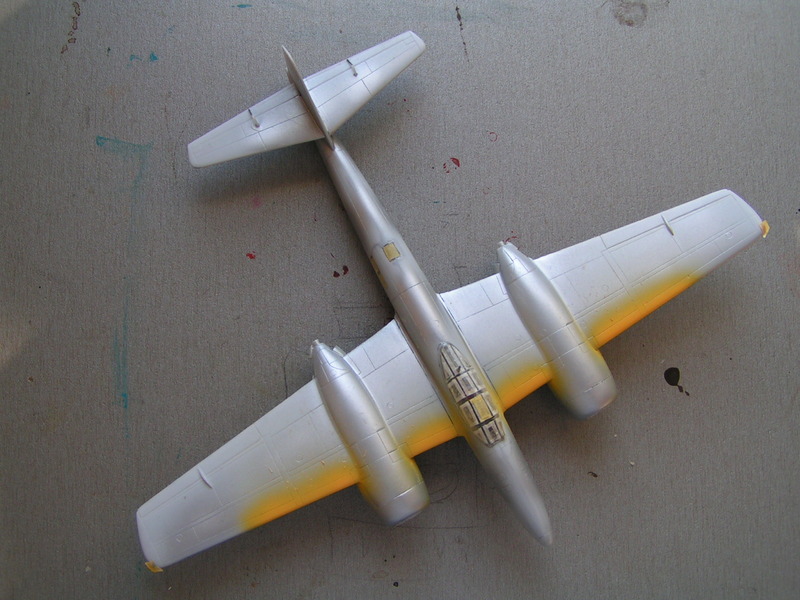 IFF markings on the leading edge of wings were painted a deep yellow and after drying masked off. 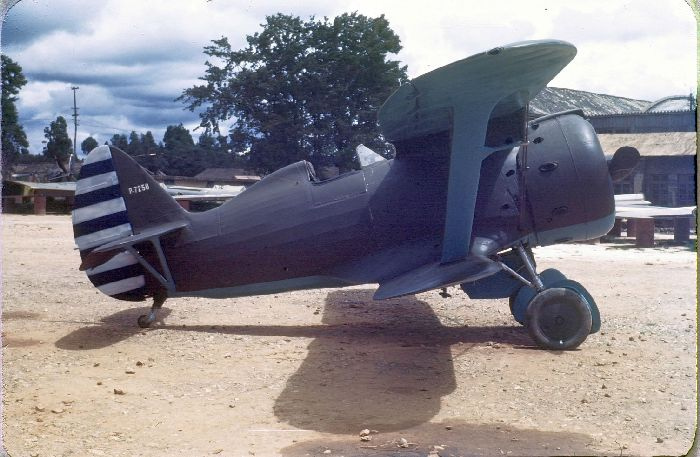 The lower parts of the aircraft were sprayed with pale gray obtained from RAL Mercedes range Papyrusweis 9717 (which in the general RAL range is close but a bit lighter than RAL 7035 lichtgrau) lightened with white for scale reasons. 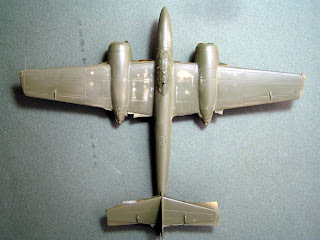 After masking, the top parts received the IJA olive green. 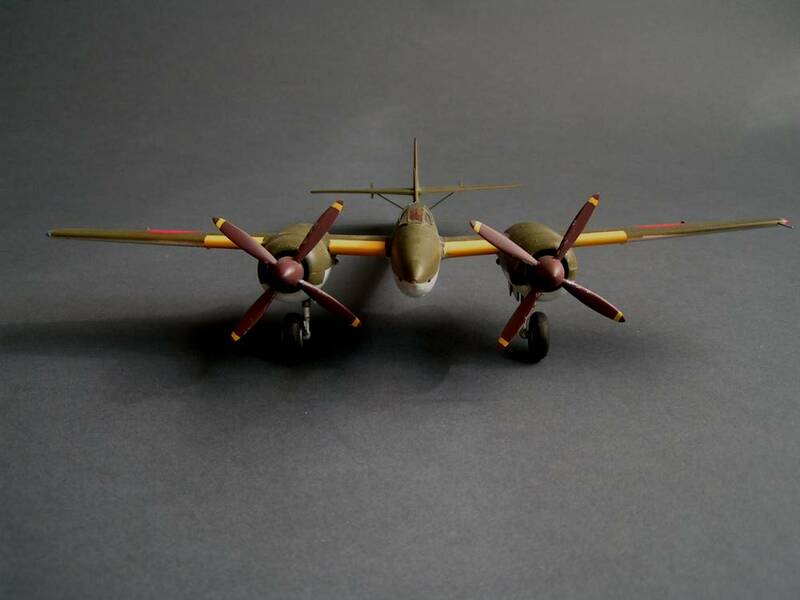 This color was obtained from RAL 6003 Olivgrun which I consider was close to the original color but darker. So this paint was toned down with a light gray color making it a bit lighter than the original, again for scale reasons. 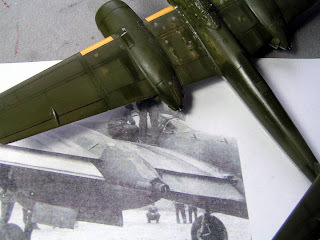 The upper color was then sanded with very fine grade, wet sandpaper in certain spots, mainly on the middle section of wings and on some fuselage acces panels, following the photographic documentation. 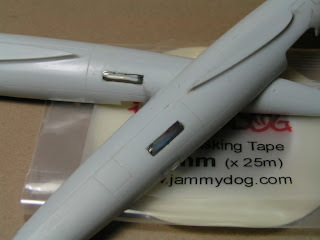 The gloss finish of the paint was ok for a wash to be applied without any intermediate laquer. Looking at the photographs, I came to the conclusion that some parts of the airplane were repainted with the same colour as the original at some point. The slight variation in shine and intensity being made by the difference with the previously weathered paint. I tried to follow as closely as possible the pattern of those differences, to replicate the airplane's appearance at the time just before American intervention. After installing the final parts, the model was completed using the decals provided which were good in colour and film quality, and conformed well to the semigloss surface. The entire model then received ta fine layer of semigloss varnish to reduce harsh contrasts in reflectivity. 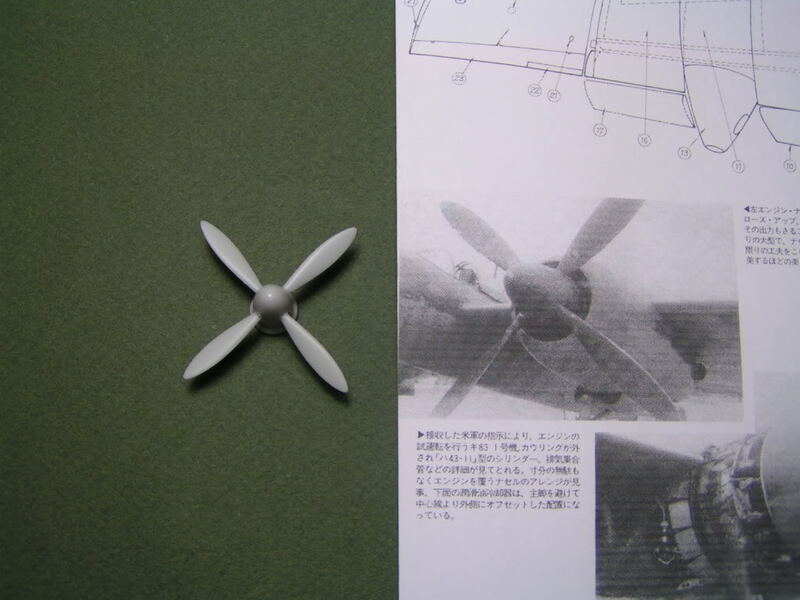 Regarding scale effect, I was among the group of modellers that considered that to be a myth. 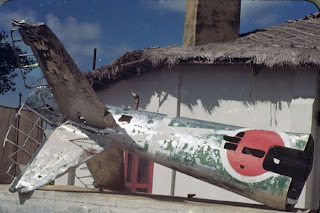 That was until I had occasion to dig out a wrecked He 111. I took some pieces with well preserved paint and matched the two tones with new paints. When I used those paints (RLM 70 and 71) the result on a 1/72nd scale model was almost black, with demarcation between the two tones hard to see. An interesting feature for those modellers who might choose to represent the plane in US markings is that at this stage the landing gear compass of the left leg was probably dismantled and ended up on the front side." 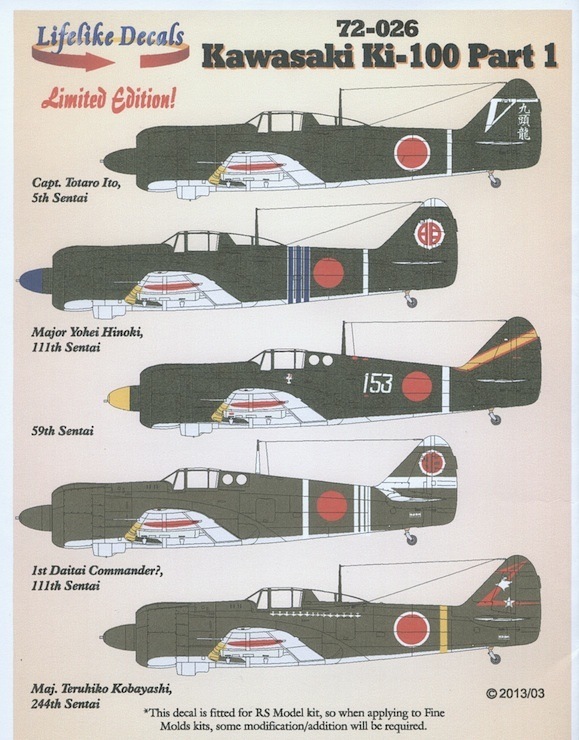 *The original MPM kit was subsequently re-issued by Special Hobby as a "high tech" release with photo-etched and resin parts but it now seems difficult to find either version. 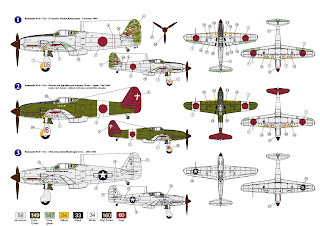 This decal sheet is designed for the recent RS Models kits and the instructions advise that some adjustment might be necessary if using them on the Fine Molds kit. All are excellent and interesting choices. 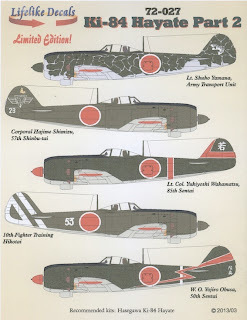 Both Yokiyoshi Wakamatsu and Yojiro Obusa were aces. 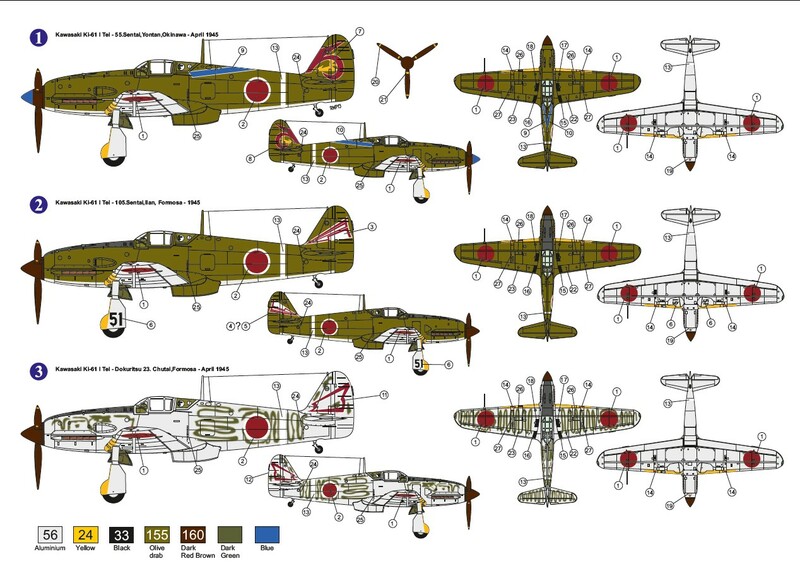 As usual with Lifelike each set comes with a comprehensive and valuable set of notes for each aircraft, including references for the colour schemes and markings depicted. 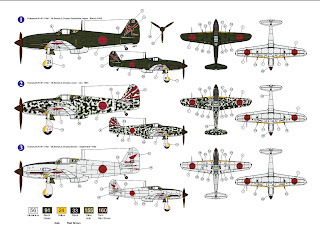 With special thanks to Keishiro Nagao who kindly supplied the sets. 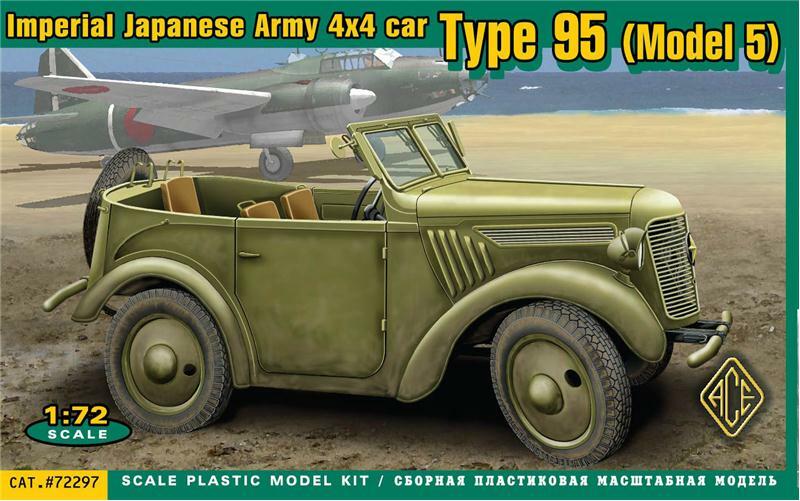 Of potential interest to aircraft modellers who like to present their creations on diorama type bases is a family of the diminutive Type 95 Kurogane scout car kits from Ace Models of Ukraine to 1/72nd scale. 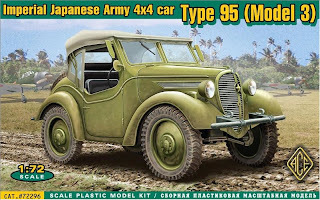 In addition to the well-known Model 3 "Noddy car" scout car - and possibly of more value to aircraft modellers - are a pick up variant with flat bed and a Model 5 utility car. Ace also make other kits of Russian and British staff cars and utility vehicles that could be used as captured vehicles in Japanese aircraft presentations. 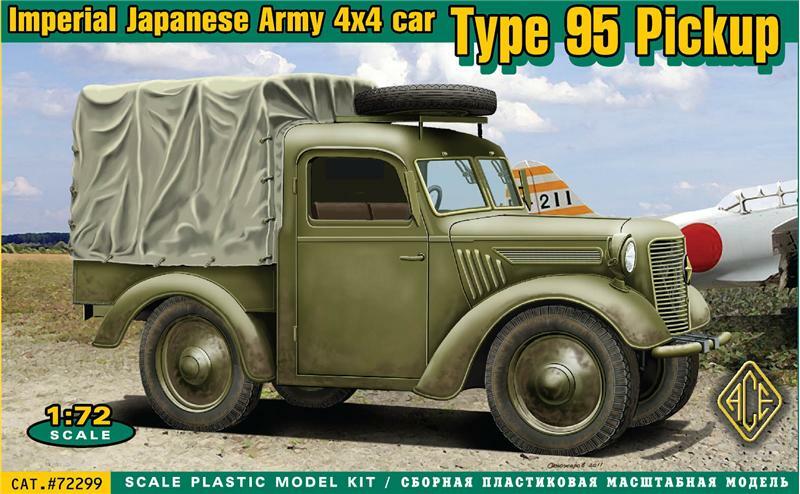 Note that the pick up variant does not come with the cargo bed tilt as shown in the box art. 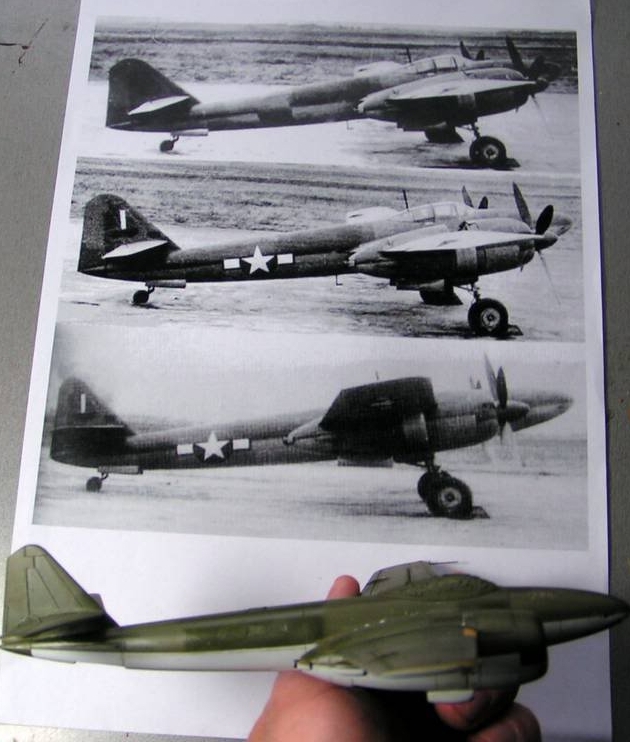 That would have to be scratch built. Each kit contains Army and Navy decals for the radiator grille badges but the mountings have to be cut from templates provided. Templates are also provided to cut acetate film for the windscreen. A useful walk around with photos of an extant Kurogane can be found here. 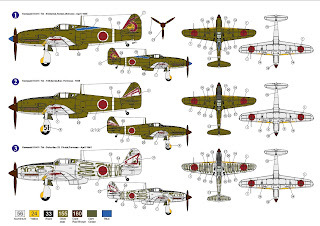 Further to the announcement of a new Ki-61-I Tei from RS Models comes news that AZ Models are planning to release in May a complete Ki-61-I series. 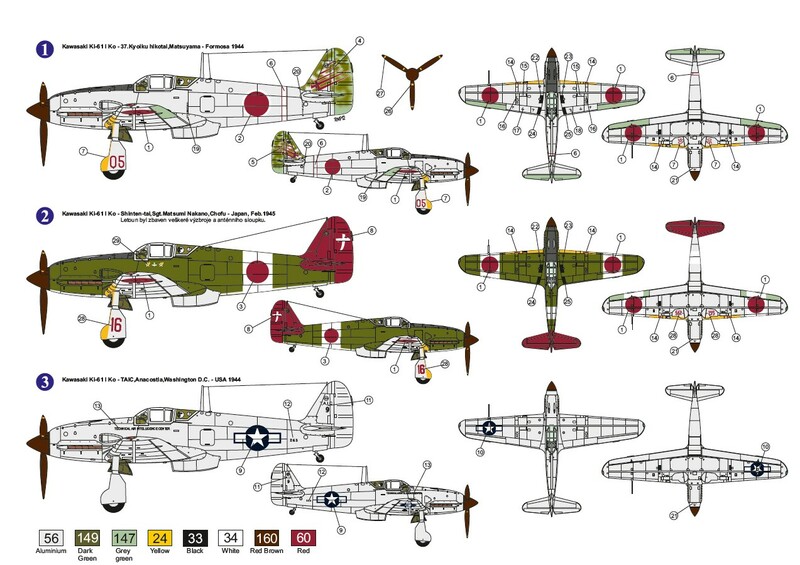 The various markings options are shown below which suggest there will be eight separate kits each with three markings options. 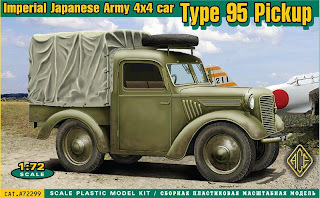 This series will include the Ko and Tei variants which have not been kitted by Fine Molds. 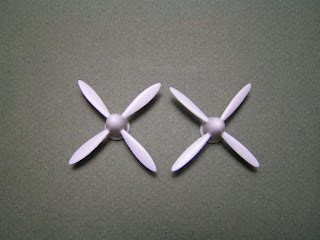 As I understand it these kits will be moulded using their new 'HQT' three-piece nickel moulds and will not be short run. 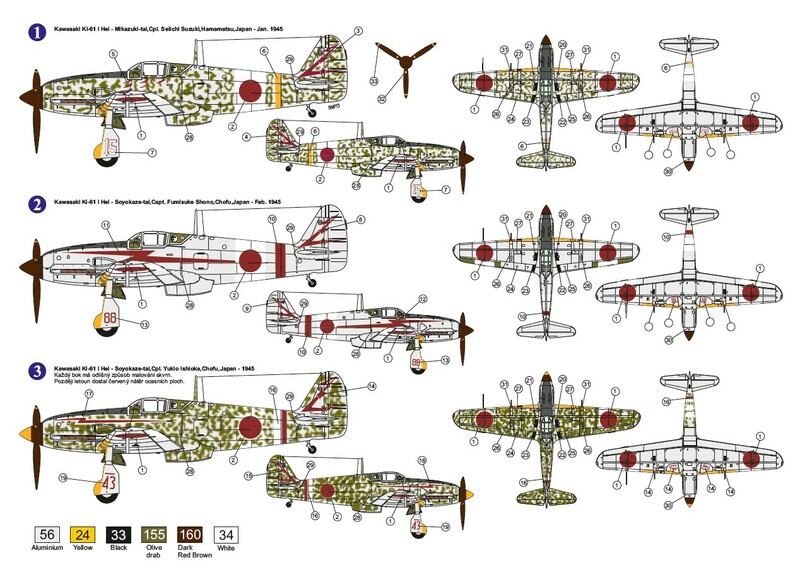 Corrected a captioning error in the Munsell values for the chips of Ki-48 interior colours posted yesterday.